GVRS Institute for Professional Studies is a Institute located at in Guntur district of Andhra Pradesh, India. It is affiliated with Acharya Nagarjuna University. It believes in overall development of the students by balancing academics, extra curricular activities, sports in the state of art infrastructure within the campus. The admission process for this college starts every year in the month of June and School starts in July. GVRS Institute for Professional Studies, Guntur offers various graduate courses as well as Post Graduate courses. 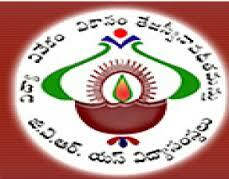 GVRS Institute for Professional Studies, Guntur is affiliated to Acharya Nagarjuna University, Guntur. List of facilities available at GVRS Institute for Professional Studies, Guntur for students. This page was last modified on 19 February 2014 at 18:02.